Tuesday evening saw the UK government hold its highly anticipated Parliament vote on its Brexit deal, but despite seeing a huge defeat the Pound Sterling to Japanese Yen (GBP/JPY) exchange rate has avoided notable losses. Due to weaker demand for safe haven currencies like the Japanese Yen (JPY), GBP/JPY climbed to the level of 139.30 last week. However, some lingering safe haven demand has kept the pair from advancing too much further. GBP/JPY touched a high of 140.38 yesterday morning, its best level since the beginning of the month, before falling back. 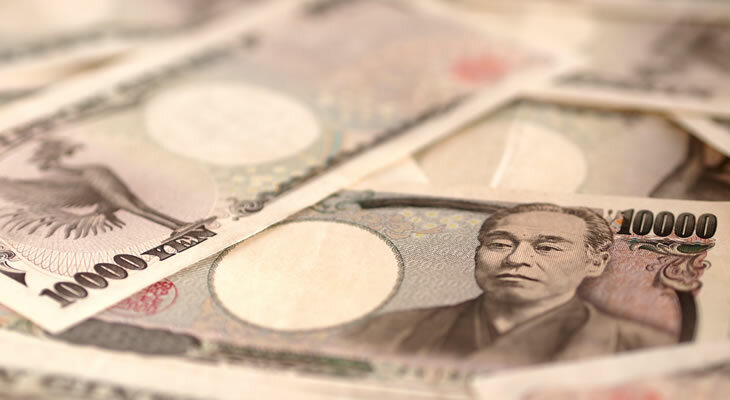 While GBP/JPY has avoided losses despite the latest Brexit uncertainties, the pair was only able to trend around the level of 139.73 at the time of writing. Still, the Pound (GBP) was overall stronger than some analysts expected following the Parliament Brexit vote, despite the Brexit process now being thrown into fresh uncertainty. As was widely expected, the UK government’s long-negotiated UK-EU Brexit deal was defeated in Parliament last night. The government lost 432 to 202, losing by a majority of 230. This marked the biggest loss for the UK government in the history of the House of Commons, but despite this the Pound actually recovered and firmed in the aftermath of the vote last night. This is because the government’s defeat means Parliament could have a stronger role in the next phase of Brexit, and most MPs have shown urgency to avoid a No-deal Brexit and delay the formal Brexit date if necessary. In fact, the Pound to Japanese Yen (GBP/JPY) exchange rate may have risen further if not for market demand for safe haven currencies like the Japanese Yen. That said, Brexit uncertainties remain a huge concern for investors and are limiting the Pound’s demand too. The outlook for Brexit and Sterling are still very murky. While markets are increasingly expecting a delay of the formal Brexit date and this is keeping Sterling buoyed, there is no clear consensus among analysts on the path the Brexit process could take next. The Japanese Yen is a safe haven currency that investors buy during times of global market uncertainty. This makes it unsurprising that the currency has avoided major losses against the Pound amid the uncertainty of the Brexit process. However, rather than just Brexit uncertainty, the Japanese Yen is benefitting from other safe haven positive factors this week. As markets settled on recent optimistic US-China trade developments and lower Federal Reserve interest rate hike bets, the US Dollar’s (USD) recent selloff slowed. As the US Dollar is another safe haven currency, the US Dollar seeing slightly stronger demand extends to Japanese Yen demand too. Japan’s latest ecostats also beat forecasts, slightly bolstering market demand for the currency. Japan’s Tertiary Industry Index report from November was expected to contract to -0.5% but only contracted by -0.3%. The coming sessions are likely to be influential for the Pound to Japanese Yen (GBP/JPY) exchange rate, as investors anticipate developments in the Brexit process, as well as major Japanese data. Markets are dominated with Brexit uncertainty, with economists and analysts unsure on how the Brexit will unfold from this point onward. The UK government is expected to present some kind of alternative plan by Monday, but developments are likely to be constant regardless. This evening, Parliament will hold a confidence vote on UK Prime Minister Theresa May’s government. The government is expected to survive this vote, despite the defeat it suffered last night. As Pound investors anticipate Brexit developments, Japanese Yen investors may react to a speech from Bank of Japan (BoJ) Governor Haruhiko Kuroda on Thursday, or Japan’s December inflation rate report on Friday. Japanese inflation remains a major concern of Japanese economists. If December’s inflation rate disappoints, the Pound to Japanese Yen (GBP/JPY) exchange rate may be more likely to advance towards the end of the week.